1 What is arterial hypertension? Arterial hypertension (hypertension) - a determination of elevated systolic blood pressure (more than 139 mm Hg) and / or diastolic (over 89 mm Hg) for a long time. It can occur without a visible cause or against other diseases (kidney pathologies). It often develops after myocardial infarction, stroke. "The boundary between normal and elevated BP is determined by its level, above which intervention, as experience shows, reduces the risk of adverse health effects. "WHO Expert Committee on Arterial Hypertension Control, 1999. During the examination of patients with suspicion of hypertension, a number of studies (primary examination, instrumental and laboratory) are conducted. The diagnosis is based on sphygmomanometry. After confirmation of the diagnosis, antihypertensive therapy is prescribed, the absence of which leads to disability, and in the worst case - to death. Simultaneous increase of CB and OPSS. In most cases hypertension is marked by an increase in OPSS and an insignificant increase in JI. Not so often, but nevertheless, another model of the development of AG: ST increases, while the values of OPSS remain at the normal level or do not correspond to the change in JI. Also, a steady increase in systolic pressure, which is accompanied by a reduced or normal ST, can be determined. In other cases diastolic pressure is increased against the background of reduced SB. Violation of the transport of Na. Due to complex metabolic processes and various microcirculatory disorders, the concentration of Na within the cell can increase, which contributes to the sensitivity to stimulation of the sympathetic part of the nervous system. As a result, the cells of the myocardium begin to contract more often, which leads to an increase in CO and the development of hypertension. Sympathetic Tone Provokes an increase in blood pressure. This is particularly common in patients with pre-hypertension, when systolic blood pressure can reach 139 mm Hg, and diastolic - 89 mm Hg. Art. Renin-angiotensin-aldosterone system. Pretty difficult in its work, its main task is to regulate the volume of circulating blood due to water and Na, which in turn increases the blood pressure. The key mechanisms of regulation of this system are laid down in the kidneys, therefore, in diseases of these organs, hypertension may occur. Lack of vasodilators. Substances such as nitric oxide and bradykinin contribute to vasodilatation. With their lack of blood, hypertension arises. A similar disorder occurs in kidney diseases that produce vasodilators, and endothelial dysfunction, because endothelial cells also produce substances that expand vessels. Why is the problem of hypertension so relevant? After 65 years, two thirds of people suffer from hypertension. After 55 years, even in the case of determining a normal AD, the risk of its increase is 90%. Harmfulness of elevated blood pressure is imaginary, since this disease increases the risk of mortality against the background of the development of such conditions as coronary heart disease, myocardial infarction, stroke. Hypertension can by right be considered an expensive disease. For example, in Canada, up to 10% of the health budget accounts for hypertension. 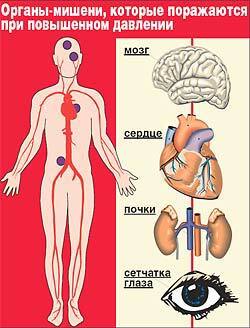 In Ukraine, 25% of adults suffer from hypertension. Elevated blood pressure is determined in 44% of the adult population of Ukraine. On average, in 90% of patients with hypertension, the primary form of the disease is determined. In America, about 75 million people have hypertension. Of this amount, 81% are those people who are aware of their illness, with more than 70% undergoing treatment and just over 50% conducting adequate blood pressure monitoring. Starting from 1999, the levels of hypertension were taken as the basis for the separation of arterial hypertension. The data presented is applicable to patients over the age of 18 years. The optimum level - CAD is no more than 120 mm Hg. Art., DAD - no more than 80 mm Hg. Art. Normal level - SAD - no more than 130 mm Hg. St, DAD - 85 mm Hg. Art. High normal blood pressure - SAD - 130-139 mm Hg. s, DAD - 85-89 mm Hg. Art. First degree of hypertension (soft) - SAD - 140-159 mm Hg. St, DAD - 90-99 mm Hg. Art. Second degree of hypertension - CAD - 160-179 mm Hg. St, DAD - 100-109 mm Hg. Art. The third degree of hypertension - SAD - more than 180 mm Hg. St, DAD - more than 110 mm Hg. Art. Isolated systolic hypertension - SAD more than 140 mm Hg. St, DAD - no higher than 90 mm Hg. Art. Normal pressure is not higher than 120/80. Prehypertension - SAD - 120-139 mm Hg. St, DAD - 80-89 mm Hg. Art. Hypertension of the first degree - SAD - 140-159 mm Hg. St, DAD - 90-99 mm Hg. Art. Hypertension of the second degree - SAD - more than 160 mm Hg. St, DAD - more than 100 mm Hg. rt. The first stage (III) - organs are not amazed. The second stage (II) - the symptoms of involvement of one or more organs (the left ventricle, retinal arteries, kidneys, large vessels) are determined. Third stage (III) - the course of the disease is complicated by clinically expressed diseases of the heart, kidneys, brain, retinas, blood vessels. The diagnosis indicates the stage of arterial hypertension and the affected target organ. If on the background of hypertension there was a heart attack or angina, which was confirmed by research, it is also indicated in the diagnosis. In almost 90% of cases, the exact cause of arterial hypertension can not be established. Then there is a disturbance of activity of the central nervous system, which can arise as a result of the influence of various predisposing factors (stress, increased body mass, hypodynamia, etc.). In the remaining 10% of cases, hypertension develops against other diseases that are often associated with kidneys, tumor processes, misuse of medications, and the like. Sometimes defects in the renal artery, having an innate or acquired nature, lead to narrowing of the vessel, which is why hypertension also develops. With the disorder of the activity of this organ, the development of mineralocorticoids, which affect the functioning of the kidneys, may change. In particular, elevated levels of aldosterone lead to narrowing of the arteries of small caliber and kidney retention of salts. Such processes lead to an increase in blood pressure. Also, in the adrenal glands, a benign tumor, known as pheochromocytoma, may increase, which increases the synthesis of adrenaline and, as a result, leads to narrowing of the arteries. This causes hypertension. Due to hormonal and immunobiological changes in the body of a pregnant woman, the blood pressure may increase at a later date Such circumstances violate the process of nourishing the fetus. In severe cases, premature delivery is usually done, usually through a caesarean section. There are distinguished modifications and unmodified risk factors, that is, those that are extremely difficult to influence. Deficiency of microelements and vitamins. At an unfavorable heredity, a defect of cell membranes can be observed, a defect of the kinin system, and the pathological ability of the smooth muscle cells to increase and change. The race factor also plays an important role, as in adult African Americans, hypertension is detected in 41% of cases, and among Europeans, as well as Americans of Mexican origin, in 28% of cases. By origin, the primary hypertonia and secondary are isolated. The primary form of arterial hypertension is still known as essential hypertension. The concept of "essential hypertension" is recommended by WHO (1978) to determine the state in which high blood pressure is observed without apparent cause of its occurrence.It responds to the term "hypertonic disease" commonly used in our country. The term "secondary hypertension" is adopted by WHO (1978) to determine hypertension, the cause of which can be identified.It corresponds to the term "symptomatic hypertension" commonly used in our country. Hypo- and norormenic form. It is more commonly defined in elderly and middle-aged people. It develops against the background of excessive detention of water and salts in the body due to the activity of renin and elevated aldosterone concentrations. Hyperenic form. It occurs in 20% of all cases of primary hypertension. It is more often defined in young males. It is rather complicated because the arterial pressure can rise sharply and high. Until the development of this form of hypertension, a periodic increase in arterial pressure could be observed. Hyperadrenergic form. Its occurrence is 15%. It is often determined by young people who have not previously complained about AG. Characterized by an increased amount of norepinephrine and adrenaline in the blood. It often passes into a hypertensive crisis, especially in the absence of adequate treatment. Cardiovascular. Develop on the background of diseases such as complete AB blockade, coarctation of the aorta, heart malformations. NeurogenicOccurs with damage to the structures of the brain due to atherosclerosis of the vessels, the tumor process, encephalitis and encephalopathy. Endocrine. Often associated with thyroid dysfunction, when increased or decreased production of thyroid hormones. Other disorders of the endocrine glands may also arise in the form of pheochromocytoma, acromegaly, hypothalamic syndrome. KidneyDevelops against a background of various renal diseases in the form of renal failure, diabetic nephropathy, transplanted organ, etc. Medicinal.Constant use of certain medications leads to the development of secondary hypertension. Blood dysfunctions.Some pathologies are accompanied by an increase in the number of red blood cells in the blood, resulting in hypertension. The course of the disease may also be different.In some cases it is slow, there are no sharp increases in blood pressure, then speak of benign hypertension. Often, it develops imperceptibly both for the patient and for the doctor, as a result of which is determined at a later stage. Malignant hypertension is characterized by pronounced progression of all pathological processes. The patient's self-perception is getting worse every day, so the lack of appropriate treatment can lead to death. Patients may react differently to an increase in blood pressure. Some note the pronounced signs, others do not notice the changed state at all. Headaches that can be perceived as tearing, nose or pressure. They are most often localized in the area of the nape, but they arise - early in the morning. The heartbeat is increasing, abnormalities in the work of the heart may be noted. Astheno-neurotic syndrome is expressed in weakness, bad mood, disorder of sleep and memory. It may also be marked by increased fatigue. Depending on the course of the disease, hypertonic crises may be absent or determined. hese pathological conditions greatly worsen the course of the disease. Hypertensive crisis - a sharp increase in blood pressure, which is accompanied by a disruption of the target organs, the appearance of disorders of the autonomic nervous system. The course of hypertensive crisis can be with or without complications. Complications include infarctions, strokes, unstable angina, eclampsia, bleeding, arrhythmias, renal failure. Uncomplicated hypertensive crisis can be expressed in cerebral uncomplicated form, cardiac uncomplicated crisis, increase in blood pressure up to 240/140 mm Hg. Art. Objective examination of the patient. 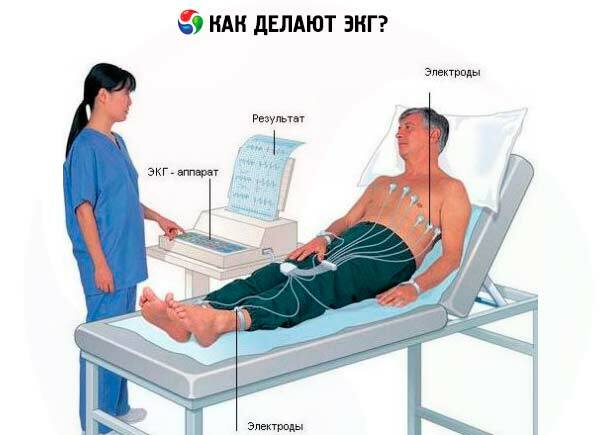 During the medical examination, the hearing of the heart is performed with the help of the phonendoscope. This method determines heart sounds, weakened tones or, conversely, reinforced ones. In some cases it is possible to hear other uncharacteristic sounds for heart activity, which is associated with increased blood pressure. The doctor must ask the patient for the purpose of determining complaints, anamnesis of life and illness. Particular attention is paid to the assessment of risk factors, hereditary predisposition. In particular, in the presence of close relatives of arterial hypertension there is a high risk of developing this disease in the patient. Physical examination also allows you to determine the height, weight and volume of the patient's waist. The correct measurement of BP makes it possible to avoid errors that may affect the subsequent treatment tactics. For diagnostics a good device is taken. Today, electronic and mechanical tonometers are more often used, but annual calibration should be used. The patient should be at rest for at least 5 minutes before measuring the blood pressure. The cuff is set at the level of the heart, 2-3 cm above the elbow flexion, does not drag strongly, but leaves room for the free passage of two fingers. At mechanical measurement, air is pumped until the pulse on the radiation artery ceases to be felt. After this cuff is pumped a little and begin to slowly release air. Systolic pressure is determined by the first knocking sounds (1st phase of the tones of Korotkov), which appear and then gradually intensify. Diastolic pressure is recorded in the V phase of the tone of Korotkov, when the knocking sounds stop completely. At normal blood pressure, the measurement is carried out once. If the pressure is above 120/80, then the diagnosis of blood pressure is carried out two to three times at intervals of five minutes. In arterial hypertension, hypertrophy of the left ventricle is often noted. Such a change with maximum accuracy can be recorded using electrocardiography. This non-invasive diagnostic method takes only a few minutes, after which the doctor decodes the data. General blood and urine tests. Biochemical analysis of blood with the definition of trace elements, sugar, cholesterol, creatinine. Determination of the level of hormones (aldosterone, adrenaline). Ophthalmoscopy of the ocular bottom. If necessary, diagnostics may be complemented by dopplerography, arteriography, ultrasound examination of the thyroid gland and internal organs (liver, kidneys). 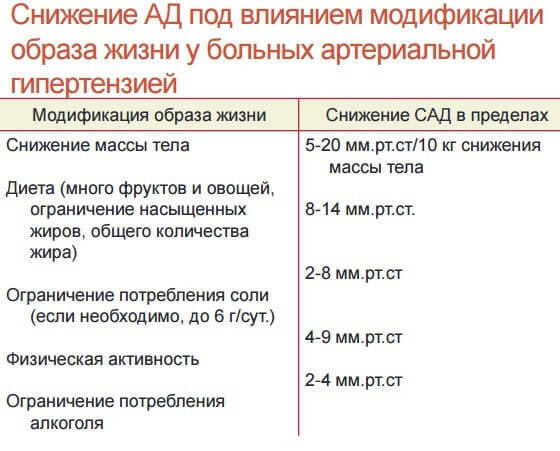 According to the recommendations of the American National Joint Committee for 2003, patients with a high and extremely high risk of developing arterial hypertension are subject to compulsory medical treatment. At moderate level, patients are observed from a few weeks to six months in order to obtain additional clinical data, which will help to make a decision on medical treatment. Patients with a lower risk are more likely to have a duration of up to 12 months. Drug treatment is prescribed in order to reduce the risk of heart disease and vascular disease, as well as the prevention of fatal outcome. Additionally, methods are used to improve the quality of life of patients. First of all, patients with hypertension should refuse harmful habits in the form of smoking and alcohol consumption, which have a toxic effect on the internal organs. The weight of the body must be normalized, which can be a great help in increasing the physical activity. Dietary nutrition is an important part of the treatment of hypertension. In particular, the use of salt should be limited to 6 g per day and less. The diet should be saturated with products rich in calcium, magnesium. Fatty foods and those that increase cholesterol should be eliminated at all. It should be noted that it is important to avoid stressful situations, then the probability of dysfunction of the nervous system will be minimized. The algorithm for treating medicines for patients with arterial hypertension largely depends on the severity of the disease. At the first and second degrees - changes are made in the way of life of the patient, observation of his condition is carried out. When determining a high and very high absolute risk, treatment is started immediately. With the third degree - immediately begins drug therapy, additional risk factors are assessed, target organs are determined. Lifestyle changes are used. The appointment of drugs is carried out "not blindly", but using an acute pharmacological test. It consists in receiving the average patient dose of the drug after a preliminary measurement of blood pressure. Then, after a short wait, blood pressure is measured again. With the effectiveness of the drug, it is used in long-term therapy. In the second line, direct vasodilators, central agonists of alpha2 receptors, alkaloids of rheumatoid arthritis may be prescribed. Combinations of drugs from different pharmacological groups can be used in antihypertensive therapy. What to give preference is the decision of the attending physician, who knows the individual characteristics of a particular patient. With arterial hypertension, a favorable prognostic conclusion can be made in cases where the disease was detected at an early stage of development, a proper stratification of risk was made and adequate treatment was prescribed. Primary - is to correct lifestyle. Secondary - is based on the use of antihypertensive drugs, in addition, the patient should undergo a follow-up. 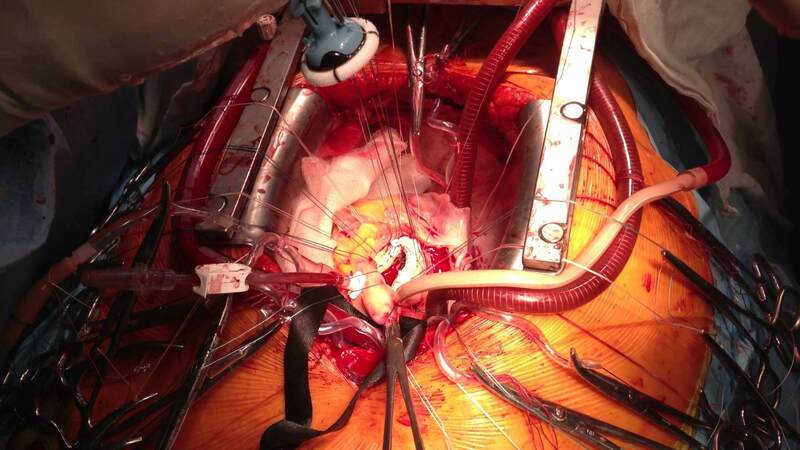 Aortic valve defects often require surgery. Depending on the indications, a partial or complete replacement of the valve apparatus can be carried out, which allows to improve hemodynamics in the heart and reduce the risk of developing heart failure.